Celebrate your freedom of choice with this special version of Triples. Purchase WordPop!, Word Monaco Solitaire, Word Watch or Farkle Dice for Palm OS and get Triples for free. 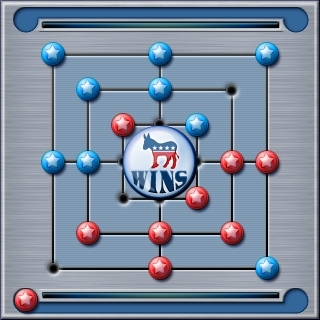 Add Triples to your cart after you add one of the other games.Play either as a Democrat or a Republican. Your party’s fate is in your hands. All our games have a free trial with no obligation or risk. Click here to try one today.